It is a commonly acknowledged fact that when your mucus gets trapped in your nose, it forms a thick, dry crust that blocks your nasal passage. When the passage becomes blocked, viruses and other particles get trapped within your nasal cavity, increasing your sinus pain. Therefore, the best way to treat this pain is by increasing the humidity and fluid intake so that it can decrease the viscosity of your mucus, and it can come out easily. However, there are other methods that can help you clear your blocked sinuses. These methods include consuming a plenty of liquids, taking steamy showers regularly, avoiding cold and dry air, relishing a cup of tea or a hot bowl of soup. There is a lot of speculation about what can work to relieve sinus pressure and what cannot but salt water irrigation has always proved to be the best solution. Many people claim that over-the-counter saline spray and non-prescription decongestant sprays are the best but from my personal experience, I’ve found neti pot, sinus rinse bottle and bulb syringe irrigation kit better. Anna Feldweg, an immunology and allergy specialist and professor of medicine at Harvard Medical School has also said that they are good to be used for short-term allergies since they are not meant to treat chronic allergies. If you want to save your cost, you can make your own nasal irrigation solution too. All you have to do is to fill a glass with lukewarm water, one to two teaspoon of non-iodized salt and baking soda. Make sure that you use boil water and clean your equipment each time you make this solution. If you want to get rid of sinus pain within a short span of time, you can take a hot washcloth and apply it over your nose and eyes that it warms your nasal passages and thins your secretions out. If you want it the other way, you can opt for cold and warm compresses to cure your sinus pain and headache. All you have to do is to keep a hot wash cloth or towel across your nose and eyes for more than two minutes, and then repeat the same method with a cold wash cloth or towel. Do it four times in a day, and you will see the result for yourself. There are many people who believe that spices help them open their nasal passages and provide them some relief from pain. Science also backs their belief. 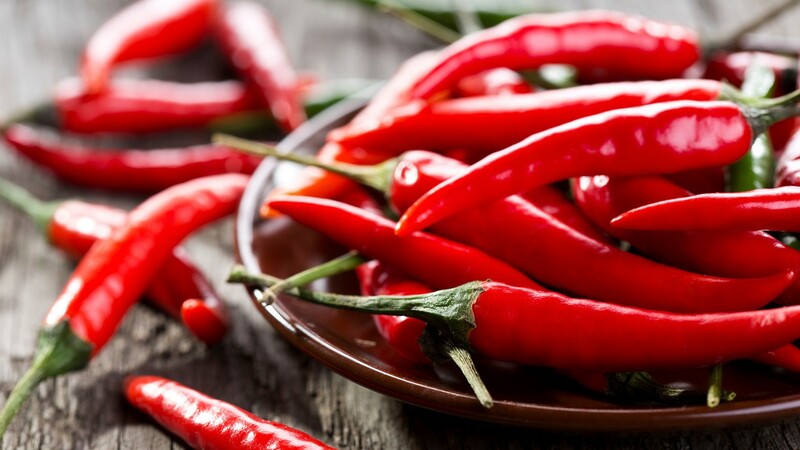 Many evidences show that chili peppers consist of capsaicin that plays a vital role in healing all kinds of pain. When scientists investigated the methods through which capsaicin is prepared, it was proved that it can easily heal rhinitis and facial pain syndromes. However, use spices only if you are comfortable with their taste and flavor fenugreek (fights inflammation), thyme (prevents post-nasal drip), ginseng (anti-inflammatory), comfrey (brings relief from pain and tenderness). chamomile (fights inflammation and relieves pain), and mullein (prevents viruses from entering the nasal passage). You can use bromelain to mitigate swelling from your nasal passage. Bromelain is basically an enzyme which is extracted from the stems of pineapple to be used as a supplement. It has turned out to be highly-effective in terms of reducing the swelling in the nasal regions. Not only this, it has also created a record of treating myriad of health issues like sprained ankles, arthritis, injuries of connective tissue, tendonitis, osteoarthritis, joint pain, asthma, diarrhea, heartburn, cardiovascular disorders, bronchitis, sinusitis, bowel diseases, and surgical traumas too. Make sure that you consult your doctor, prior to taking this as a medicine. Many people prefer taking steam to curb their sinus pain. It helps in moistening the sinuses which ultimately brings an instant relief from the pain. The most effective method to do this is by sprinkling certain drops of menthol and eucalyptus in the shower and heat up your washroom. If not this, then try to take a hot bath to bring mucus out of your nose and get rid of pain. We hope that you will try out these remedies for sinus headache and share them with others too so that they can also get a permanent relief from pain.